Cyntony helps system integrators win in a complex world by enabling great technology sourcing outcomes. We've curated unique and powerful solutions to tough electromagnetic, communications and computing challenges so you don't have to create them yourself. Your success is our success. Join companies who have benefited from our Customer Attuned(SM) collaboration. Read how "Cyntony is a force-multiplier for the Espy Corporation" in our Case Study detailing the successful creation of the teamSENTINELnano antenna. LPDA-A0016 is a wideband log-periodic dipole array antenna for transmitting and receiving at frequencies of 80 MHz to 2 GHz. 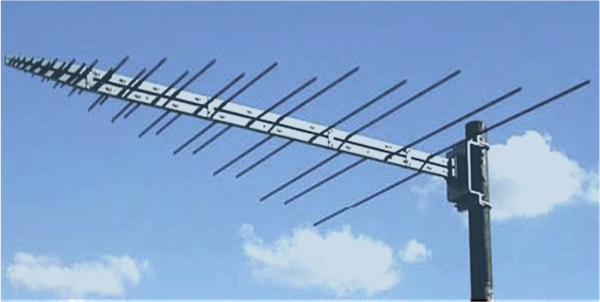 Antenna can be used for spectrum monitoring, EMC emission, and susceptibility testing. To obtain price and delivery information about this product, click the button below. Just browsing? Click a link below to display related items.